Included below are frequent questions we receive from visitors at Child’s Play. For more extensive information, be sure to visit our resources page at the top menu. Autism, or Autism Spectrum Disorder (ASD), is a general term for a variety of brain developmental disorders, and the severity varies based on the affected child. Autism is characterized by the difficulty to interact socially and communicate both verbally and nonverbally. These disorders can also be linked to intellectual issues and difficulties with attention and coordination, as well as unusual reactions to sensations or certain people. A detailed symptom checklist is available here. ABA is most widely used in the mainstream as a method of identifying the specific needs of a patient in order to develop individualized instruction geared towards improving the symptoms of autism. This process has been proven to work as it assesses what skills the patient is lacking and initiates how they can be improved for the better. Today, ABA is widely recognized as a safe and effective treatment for autism. It has been endorsed by a number of state and federal agencies, including the U.S. Surgeon General and the New York State Department of Health. 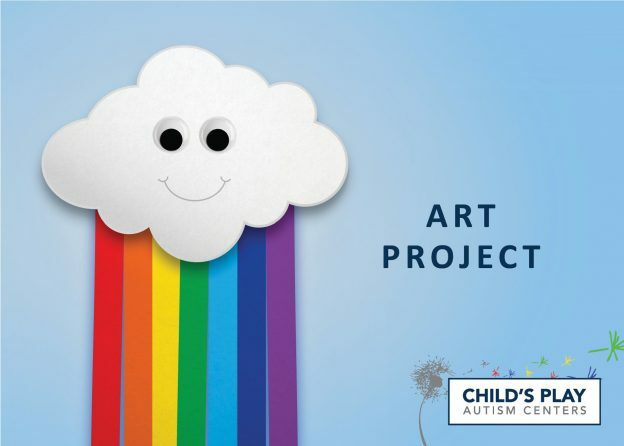 Over the last decade, the nation has seen a particularly dramatic increase in the use of ABA to help persons with autism live happy and productive lives. In particular, ABA principles and techniques can foster basic skills such as looking, listening and imitating, as well as complex skills such as reading, conversing and understanding another person’s perspective. * The analyst’s development of treatment goals stems from a detailed assessment of each learner’s skills and preferences and may also include family goals. * The learner’s day is structured to provide many opportunities – both planned and naturally occurring – to acquire and practice skills in both structured and unstructured situations. While education is important, it is surpassed by needs of health and safety. Clients who regularly miss public school to go to ABA appointments may need to enroll as a home schooled student. This Link will take you to the appropriate form, along with additional resources. What caused my child’s autism? The following information is not meant to prevent, diagnose or treat autism and should not take the place of personal consultation, as appropriate, with a qualified healthcare professional. One of the most common questions asked after a diagnosis of autism, is what caused the disorder. We know that there’s no one cause of autism. Research suggests that autism develops from a combination of genetic and nongenetic, or environmental, influences. Vaccines. Each family has a unique experience with an autism diagnosis, and for some it corresponds with the timing of their child’s vaccinations. At the same time, scientists have conducted extensive research over the last two decades to determine whether there is any link between childhood vaccinations and autism. The results of this research is clear: Vaccines do not cause autism. The American Academy of Pediatrics has compiled a comprehensive list of this research. You can view and download the list here. How do these genetic and nongenetic influences give rise to autism? Most appear to affect crucial aspects of early brain development. Some appear to affect how brain nerve cells, or neurons, communicate with each other. Others appear to affect how entire regions of the brain communicate with each other. Research continues to explore these differences with an eye to developing treatments and supports that can improve quality of life. I think my child has autism, but I am not sure. How can I find out? If you are noticing abnormalities in your child that involve a lack of social interaction and/or communication skills, unusual and repetitive behavior, or a lack of common interests, it is recommended that you talk to your pediatrician to set up a screening for autism. According to the American Academy of Pediatrics, children should be screened for autism between 18 and 24 months of age. After this initial screening, further evaluations can be done by medical professionals specializing in autistic behavior if deemed necessary. Although there is currently no blood test associated with diagnosing autism, your child can be diagnosed based on behavioral performance. Autism screenings and more in-depth measures administered by a neurologist or similar can lead to the most in-depth results. Some distinctive behaviors that can lead to a diagnosis of autism include a lack of interactive and communicative skills and a display of restrictive or repetitive behaviors. It is of note that many insurers have particular types of diagnostic tools and particular types of professionals that must implement those tools to equate to an acceptable diagnosis. Check with your insurance company or let us do it for you to ensure you get the tool you need to get answers. What can I do on a regular basis to improve my child’s prognosis? Focus on your involvement in therapy, and maintain a regular attendance record with your ABA provider. More research is needed to determine why some children with autism respond more favorably to early intensive ABA than others do. Currently, it remains difficult to predict the extent to which a particular child will benefit. However, in some studies, researchers compared intensive ABA with less intensive ABA and/or other early intervention or special education programs for children with autism. Generally, they found that children who receive intensive ABA treatment make larger improvements in more skill areas than do children who participate in other interventions. In addition, the parents of the children who receive intensive ABA report greater reductions in daily stress than do parents whose children receive other treatments. Are all people with Autism intellectually disabled? No, this is a common misconception associated with autism on a regular basis. In fact, people diagnosed with autism can be intellectually gifted in certain areas. According to Autism and Resources Connecticut, fewer than 50 percent of people with autism actually have an intellectual disability. When should my child with Autism begin to receive services? It is very important to provide early intervention in your child’s development in order to make the most dramatic positive impact. Since young brains are the most flexible and make the most progress, early intervention is a crucial aspect of the developmental process and might even reduce the need for any intensive care later. 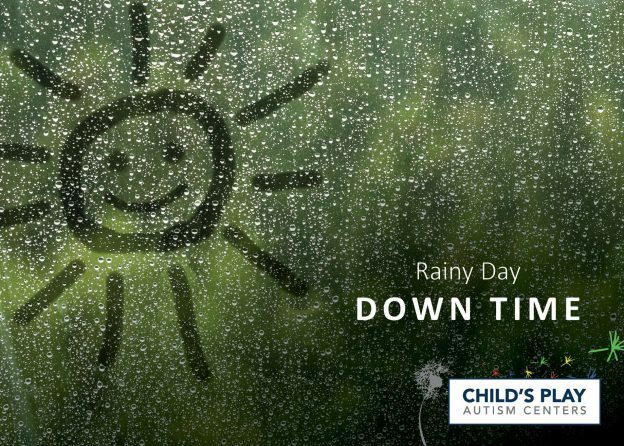 Child’s Play Behavior Analysis welcomes children from toddlers to teens and encourages beginning therapy as early as possible. How can I help socialize my child with his or her peers? 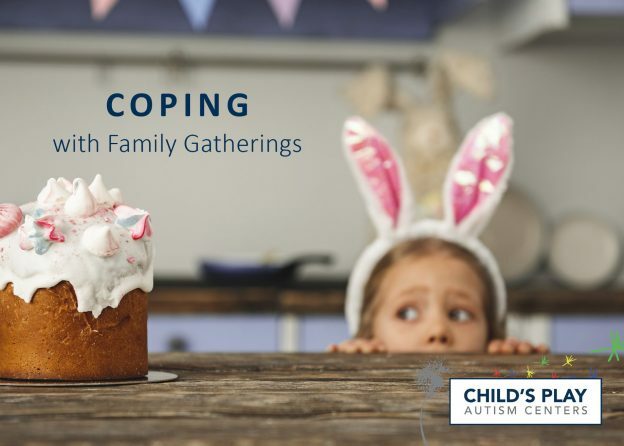 A number of different techniques can be used in order to improve your child’s social and coping skills, especially when interacting with his or her peers. However, your child’s needs are specific to them. Blanket solutions and too-good-to-be-true solutions often prove to be just that. 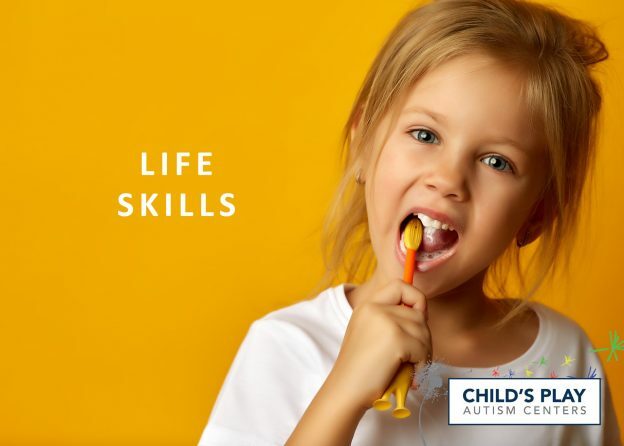 At Child’s Play, our behavior analysts provide individualized support that will help you and your child learn what steps can be taken to create a positive social environment. Is there a standard treatment for Autism? Since each child’s case is different, there is no concrete, worldwide treatment for children with autism. However, there are many treatments that have been tested; yet most don’t have the scientific proof to back them. Child’s Play Behavior Analysis chooses to use Applied Behavior Analysis (ABA) as the preferred therapy because it has been proven to work throughout years of independent and peer-reviewed research. ABA is endorsed as a scientifically proven approach by organizations like the American Academy of Neurology, Autism Society of America, and many others. The Surgeon General issued a report endorsing ABA as a most efficient means of therapy for people with autism. Those diagnosed with autism often display disruptive or aggressive behavior due to the inability to communicate verbally. Those diagnosed usually express themselves through several types of behavior, whether it is violent, inappropriate, or unusual. These behaviors are usually to escape, gain access, seeking attention, or simply because they like or receive stimulation from it. Is there medication for Autism? Currently, there is no specific medication for autism. However, there are many medications that can help eliminate specific symptoms of autism such as depression, anxiety, aggression, etc. Your physician may wish to prescribe medications to offset some of these issues. It is important to note that changes in brain chemistry can affect behavior and in a way that is impossible to measure. Repeated and/or rapid changes or instability in medication delivery can negatively impact behavior change by even the most practiced clinicians or ABA programs. Can people with autism live independently? Some people diagnosed with autism are capable of living independently, however, many may need either partial or fully assisted living accommodations. Determining whether or not a person with autism can live by him/herself is completely based on the severity of his or her autism and how intensive and early intervention was possible to begin. A strong and early start with Applied Behavior Analysis is proven to be the most effective way to ensure the best life possible. There is no known “cure” for autism currently, but understanding that autism can affect individuals in different ways is important. 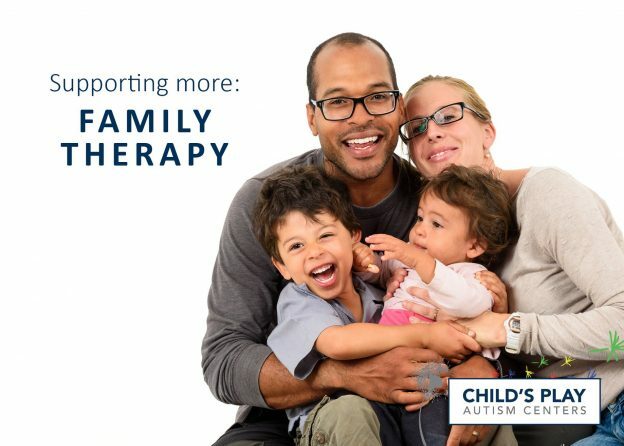 Making sure that the most clinically proven forms of treatment are available to your child, at the earliest age possible, will give him or her a greater chance of experiencing reduced symptoms and living a happy, enriched life. How will I pay for my child’s services? Currently, more and more private insurance companies across the nation are covering autism therapies. Unlike in the past, it is becoming increasingly easy to gain insurance coverage for ABA with a diagnosis of autism. Indiana led the nation in 2001 with its insurance mandate for autism coverage, and The Affordable Care Act in 2009 enabled individuals to purchase a policy for individual or family coverage independent from their place of work. Coverage for your child with autism is now as simple as logging on to your computer and purchasing a qualifying plan. 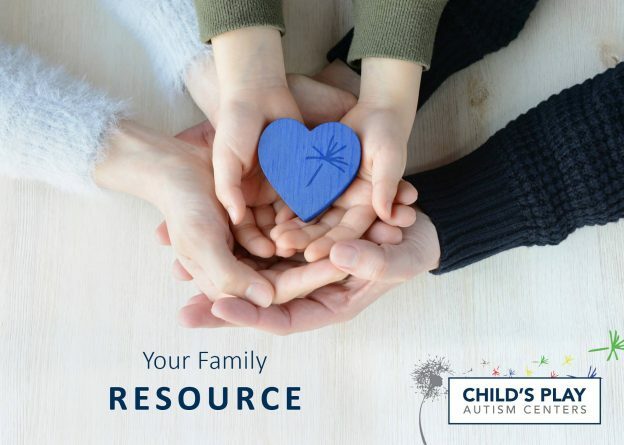 There are also several other payment methods available for your child’s treatments such as Social Security Disability Insurance, community based waivers, and family grants to aid in autism related expenses. It is of important note that most of these taxpayer-funded programs do not however currently pay for ABA services. Why does ABA often use edible reinforcers with children, such as candy? Edibles are often used due to the fact that food can be a very powerful reinforcer. However, the goal is to always to fade out the use of edibles over time and use more natural reinforcers like social praise and intrinsic reward as they become more reinforcing to the child over the course of therapy. Just like any other behavior, learning to like other things applies, and it has to be learned over time! Doesn’t that mean you just use bribery to get kids to do what you want? I tried that! Bribes are never used in ABA as they are not an effective behavioral strategy. Bribery is ineffective because it used after a negative behavior has already occurred (i.e., “If you stop crying, I will give you a cookie”). ABA teaches individuals that rewards are contingent on appropriate behaviors (i.e., if I do what my mom says, I will get rewarded). Practicing good hygiene is part of learning independence! At the appropriate age, our team guides your child as they practice skills like brushing teeth and washing hands. Our facilities are stocked with familiar items to help reinforce good habits here and at home. We understand first hand that therapy goes beyond our walls. My confidence in their ability to help my patients has yet to wane. Child’s Play is an amazing resource to our community.